dewaun.simmons (Homepage) wrote: Silky smooth water. Very nice scenic shot. I like doing this but never remember to bring my tripod when near running water. Silly me. Alejandra (Homepage) wrote: Very nice! !Love the motion and the light! Ben (Homepage) wrote: Thanks for comment, Paolo. This one is very clear and silky water looks like a velvet carpet. Excellent work! Beeps and Chirps (Homepage) wrote: Looks like fog...I like it! ROB (Homepage) wrote: It almost seems to be wetting my feet. So soft and dreamy. I could look at this all day. 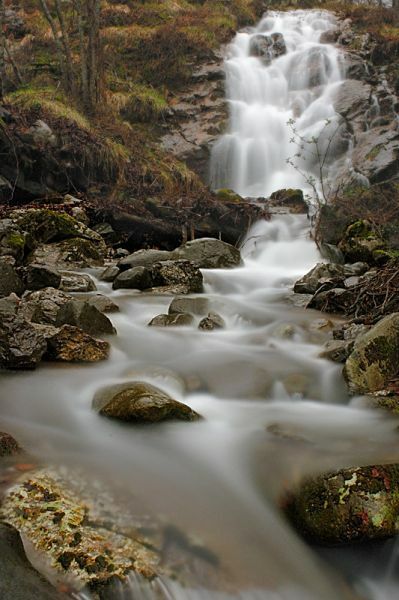 Anita Bower (Homepage) wrote: Lovely soft water and movement through the photo. cako (Homepage) wrote: Nice shot. The water seems to be so soft. Evgeny (Homepage) wrote: A beautiful image, the water effects are quite lovely. Well done my friend. Thank you for all of your nice comments! Elad (Homepage) wrote: A great use of long exposure. magical. Manuela (Homepage) wrote: Excellent perspective and water motion! Tim (Homepage) wrote: Very cool! Brilliant effect. Russ (Homepage) wrote: A beautiful place and a great image. Josef (Homepage) wrote: Great effect - Nicely done. Volker (Homepage) wrote: Great! Like a river of fog or steam. Michael Rawluk (Homepage) wrote: It is like smoke flowing down the hill.